Breaking Sound Barriers. Thrilling Loudspeaker Experiences. Unmatched Performance for the Price. SVS speakers balance audiophile refinement and accuracy with stunning, high-impact home theater dynamics to reveal the full depth, detail and emotion of music, movies, TV shows and all audio content. Our speaker design process involves sophisticated prototyping, extensive anechoic and real-world testing and the use of premium driver, crossover and cabinet materials. The result, loudspeakers that deliver jaw-droppingly immersive audio experiences and unmatched performance for the price. With the Prime and Ultra Series Speakers, SVS is bringing world class sound quality to more people than ever before. With both 2-channel stereo and home theater surround sound systems, SVS speakers deliver a truly high-end audio experience with precise imaging, absolute transparency, wide dynamic range, pinpoint accuracy and powerful dynamics. SVS speakers reveal the full sonic impact of what an artist or sound engineer intended with perfect clarity for “like-being-there” audio experiences. SVS makes a variety of speakers to fit every room, audio system and budget. Our SVS Sound Experts are available 7 days-a-week to help you choose the best loudspeakers based on your personal set-up and listening preferences. Click the boxes below each product to compare up to 4 models at once. Prime Wireless is the perfect fusion of intelligent controls, trailblazing features, future-facing WiFi, Bluetooth and line level connectivity and most importantly, immersive, reference quality sound. All the benefits of a wireless powered smart speakers with uncompromising acoustic design and performance. Finally, wireless audio that truly rocks. The SVS Prime Wireless Speaker combines immersive, reference quality sound with smart speaker control and future facing connectivity. Equipped with both WiFi and Bluetooth connectivity and the ability to control from your smartphone or any mobile device, it offers true stereo separation, a massively powerful internal amplifier, a high-resolution 192KHz/24-bit DAC and a precisely tuned digital crossover for sound quality that’s miles ahead of any other smart wireless speaker available. Prime Wireless SoundBase is a dual-threat audio component that brings high-resolution wireless audio streaming, advanced connectivity and smart control to conventional speakers or, using its line level output, creates a smart wireless music zone with your AV receiver or two-channel stereo system. Simply connect conventional speakers and they are transformed with high-resolution wireless audio streaming, powerful amplification from the 300 watt amplifier, smart speaker control from your smartphone or mobile device and future-facing WiFi and Bluetooth connectivity. Best of all, its audiophile-grade technology drives any speakers to perform to their full potential. Reduces subwoofer cable clutter without sacrificing performance. Also unlocks wireless connectivity for a stereo zone, powered surround sound speakers and amplifiers, while solving placement issues. Truly immersive and high-end in every way, the SVS Prime Series speakers borrow technology breakthroughs from the Ultra Series to set the benchmark for best loudspeaker performance value. The result, world-class speakers that are more inclusive than ever before. Exceptional clarity, flawless tonal balance and room-energizing bass response, the Prime Tower speakers set the benchmark as best floorstanding speakers under $1,000 with stunning performances in a two-channel audiophile or surround sound home theater systems. Class-defining full range bookshelf speaker delivers amazing sound quality and stunning dynamics normally reserved for speakers costing much more. Perfect as mains, surrounds or other speakers in a two-channel audiophile or home theater surround sound system. An uncompromised, high fidelity height channel speaker for Dolby Atmos, DTS:X or Auro-3D, its incredible versatility and easy installation on walls or ceilings also lets it serve as a multi-purpose home theater speaker to solve virtually any room placement issue. Amazingly big sound from the most compact speaker in the SVS line. The Prime Satellite defies expectations with powerful dynamism and pinpoint accuracy as a front, surround, center or height channel speaker. True 3-way center channel speaker, the Prime Center delivers crystal clear and natural sounding dialogue and vocals with an expansive soundstage and excellent dispersion for a convincing surround sound home theater experience. 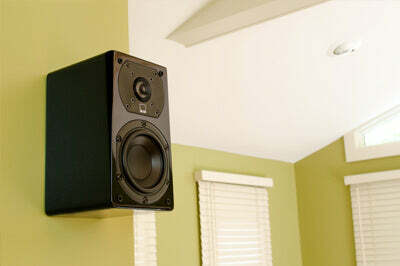 The world’s most versatile high performance home theater speaker, SVS Prime Elevation delivers stunning sound quality and dynamics as an uncompromised, full range height effects speaker and as an installation-friendly, multi-purpose home theater speaker that solves countless room placement issues. A highly refined tweeter, authoritative mid-woofer, precision tuned crossover and heavily reinforced cabinet combine with an innovative Multi-Angle Wall Bracket (patent pending) to create an incredible sounding, easy-to-install home theater solution. Two-channel and surround sound Prime Series speaker systems recommended by our Sound Experts. Whether you’re looking for a small room music system or an over-the-top home theater, these Prime Series speaker systems easily outperform speaker systems costing much more. Upon hearing this compact 5.1 powerhouse, HomeTheaterReview remarked, “The king is dead, long live the new King!” There is simply no better satellite speaker and subwoofer surround package available. Stunningly powerful surround sound speaker package with deep bass extension, pinpoint accuracy and lively dynamics normally reserved for the most expensive speakers in the world. Sonic dynamite in a super compact system, this 2.1 set-up is deceptively huge sounding and incredibly articulate. It punches way above its class and delivers an unbelievably dynamic experience in any room. Décor and furniture friendly speaker package that delivers all the sonic impact, nuance and high end design elements of a world-class surround sound system at a more inclusive price. 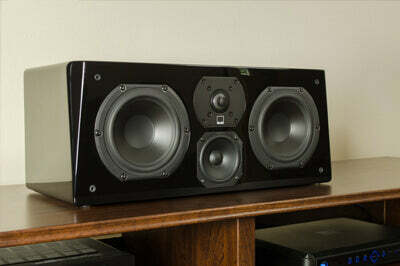 Every design aspect of the SVS Ultra Series Speakers was scrutinized to achieve cost-no-object sound quality. Delivering a wide, detailed soundstage with incredible resolution, absolute transparency, and amazingly rich and articulated bass, the Ultra Series speakers stand toe-to-toe with the finest loudspeakers in the world. Reference bookshelf speakers with jaw-dropping dynamics and imaging, unveiled highs and deep low frequency extension. The Ultra Bookshelf unreservedly stakes a claim as the best bookshelf speakers under $1,000. Reference three-way Ultra Center speaker delivers airy, unveiled highs with pristine clarity for unerring realism and dialogue intelligibility. Its specially designed for outstanding dispersion characteristics and accurate frequency response throughout a room. Dual isolated tweeter and woofer crossovers in the high-performance Ultra Surround speaker allow for bipole, dipole, or innovative SVS Duet Mode, which creates two speakers in a single cabinet. Go from 5.1 to 7.1 and beyond without adding more speakers. Featuring all the finest SVS engineering and technology, our Ultra Series surround sound systems bring the thrill of cinema and live music experiences home with sound quality, dynamics and styling normally reserved for the highest end systems in the world. Reaching a level of design, detail, and dynamics that puts most tower speaker systems to shame, the Ultra Bookshelf Surround Sound Package features uncompromised sound quality, stunning design and flexible placement options. 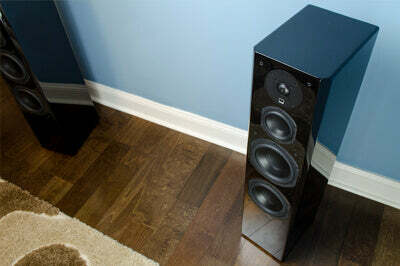 SVS Speaker Reviews - What the critics are saying. SVS Speaker Reviews - What critics are saying… Reviewers agree SVS has the best speakers of 2018. Learn why on our product ratings and reviews page. "They are more detailed and more "hi-fi" than any home audio speakers we've heard at this price before." 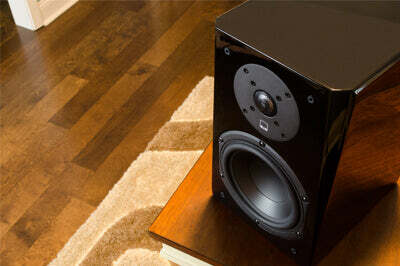 "The SVS Ultra speaker system came as close to earning a perfect 10 as any speakers we've heard. For our money, this is the best loudspeaker system to beat for years to come." "It would be tough to find a better speaker to pull audiophile music and home theater duty. Demolishes all of the offerings at its price point." "Utterly magnificent bass. Fluid and captivating articulation in the mids with warmth and clarity to voices. Among the best floorstanding speakers available." "Outstanding imaging and an unwillingness to compromise punch or clarity. Far and away the best performing and looking system at this price point, and likely twice the amount." "SVS Prime Bookshelf speakers are destined to become classics—that's how good they are… I found myself in awe of how transparent these speakers sounded." "Dynamics of a custom theater system, neutrality and ambience of an audiophile system…Certified and Recommended." "The SVS Prime Satellite 5.1 home theater system is the best satellite speaker surround sound system I know for under $1,000. Congratulations, SVS. The old king is dead, long live the new king." "I honestly did not think my system could sound better. I was wrong." - Anthony K.
"You can spend more money, but for a compact system for a small room you will not get better." - Glenn H.
"They sound awesome no matter what kind of music you throw at them. No better in this price range." - John S.
"In my opinion they are the most powerful speakers of their kind ever made." - Dipankar G.
"I'm bummed that I didn't do this a long time ago. My excitement level with these loudspeakers is through the roof!" - Bob I. The Perfect Fusion of Technology and Passion. From the first cabinet sketch to the final voicing, every SVS speaker undergoes a painstaking design and engineering process to ensure flawless performance and unmatched build and component quality. Every design element has a sonic purpose. Hundreds of hours are spent measuring and listening critically to each speaker in acoustic test chambers, calibrated listening rooms and real world environments. This process captures all the nuances of different content and listening environments to achieve a perfectly balanced speaker. Only the finest materials and fabrication techniques are used for cabinets, tweeters, drivers, and crossovers. It only becomes an SVS speaker when all the pieces meld to set a new benchmark audio performance value. A blend of smooth, highly-detailed sound enhanced by lively, impactful dynamics, a wide soundstage and effortless power across the frequency spectrum elevate SVS loudspeakers to unmatched levels of performance. What are the Best Speakers for Turntables? What is a Height Channel Speaker? Need help choosing the right speaker for a home theater or two-channel system? Have questions about Dolby Atmos, AV receiver settings or the SVS Customer Bill of Rights? Our Sound Experts are knowledgeable on all AV-related topics and available seven days a week via chat, phone or email to assist with any questions.